Thinking of an ocean escape? Take a peak at this seaside Cape Cod property. Stately it is. 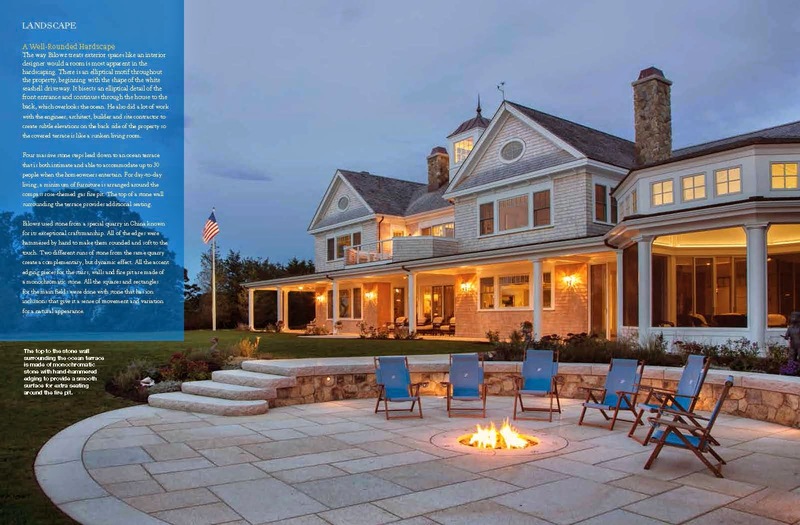 Summer 2014 Home Remodeling Cape Cod, The Islands and The South Coast highlight one of Bilowz Associates Inc.'s feature properties. Relax and enjoy the view. 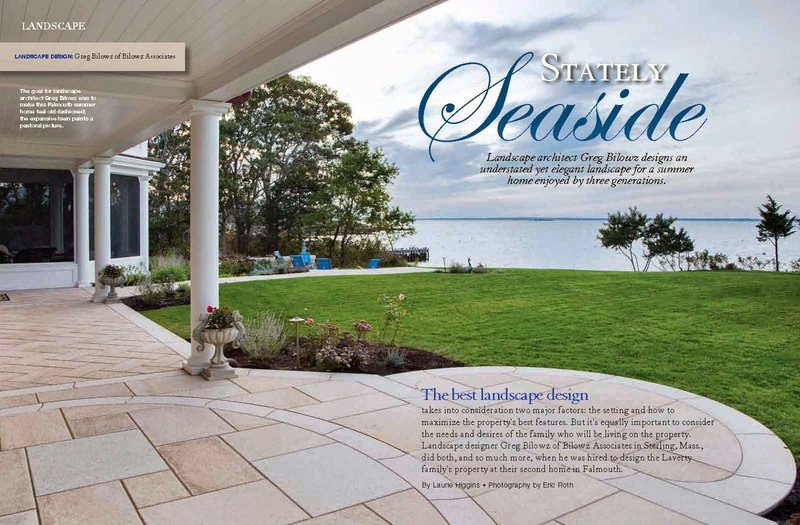 With a stately seaside view, each design component harmonizes and creates stylish balance with the architecture of the home and its surrounding landscape. Imagine - By combining the right materials and employing a philosophy of harmony and balance, functional portions disappear into the beauty of your landscape's overall artistry. The composition of assorted elements create a visual aesthetic that's both pleasant to the eye and functional. 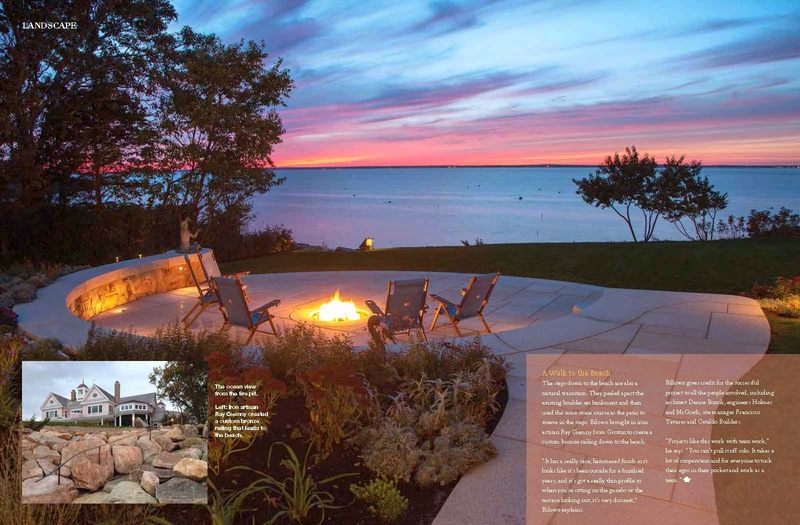 Whether lounging on a chair or enjoying the view from this terrace's curved sitting wall, all can enjoy the warmth of this uniquely designed gas fire pit on a chilly Cape Cod summer evening. Great design is more than a piece of paper. It's the efforts and collaboration of a well-rounded team. 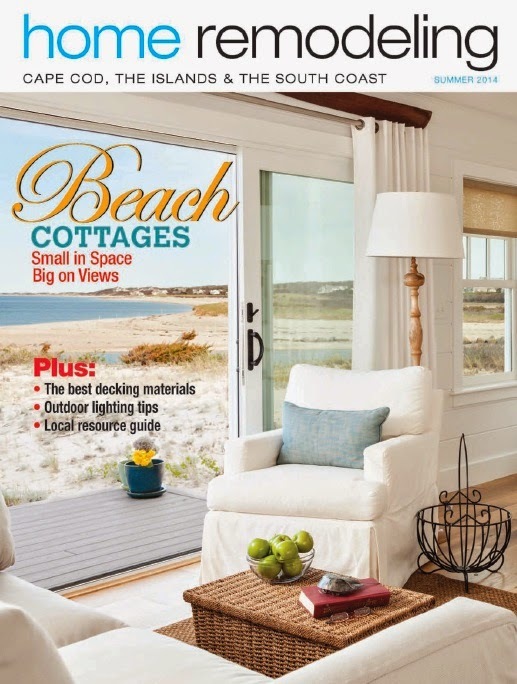 Thanks to all from Bilowz Associates Inc.
Summer 2014 Home Remodeling Cape Cod & Islands highlights one of our feature properties - Bilowz Associates Inc.
We invite you to contact Bilowz Associates, Inc., or to browse our portfolios for inspiration. Have a wonderful summer weekend. 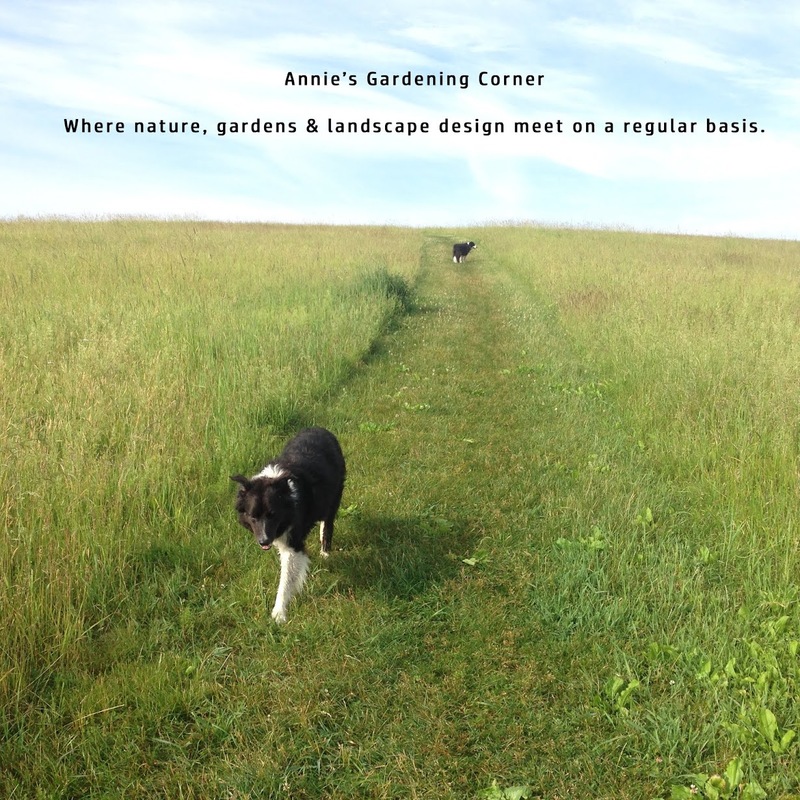 And as always, If you like this blog, hope you check in for your daily share's worth of inspiration, design, and garden tips; always original, not cookie cutter and copied. Just like our design work, we strive for unique! Like our Facebook follow on Twitter or subscribe to the blog to receive posts daily via email or a feed. Either way, we hope you follow the postings somewhere in cyberspace and share it with your gardening friends. Contact me direct at Annie You can follow with visuals on Pinterest and find us on LinkedIn and Houzz, too.